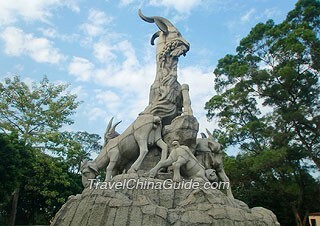 Guangzhou is a city with the glory of traditional revolution in the modern history of China. It is also a prosperous metropolis. 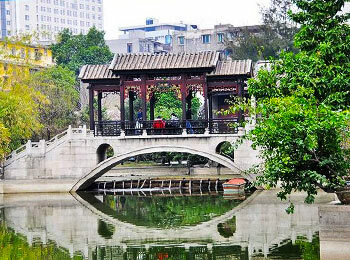 Join our private Guangzhou tour, you will be deeply impressed by the city’s vigor and bloom through meandering through the Yuexiu Park, Shamian Island and Huacheng Square. And you will also get amazing historical knowledge by visiting the Temple of chen Family, Museum of Nanyue King's Mausoleum and Temple of Six Banyan Trees. Being one of the three most important cities of China, Guangzhou is always the economic, political and cultural center of the southern region. This private day tour itinerary will take you to the most famous sites including the Dr. Sun Yat-sen Memorial Hall, temple of Six Banyan Trees, Temple of Family Chen, Huacheng Square and show you the history and present of this charming city. You will spend two days in Guangzhou to see some of the landmarks, such as Yuexiu Park, Shamian Island, and Canton Tower, and then take a high speed train to Guilin. 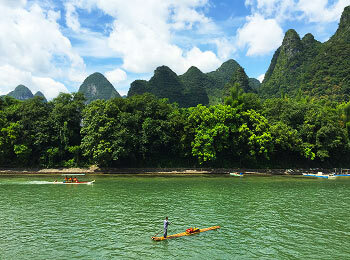 While traveling in Guilin, you can not only see the city's landmarks and take a cruise down the picturesque Li River to appreciate the rolling hills and clear water, but also view the idyllic landscape in Yangshuo. 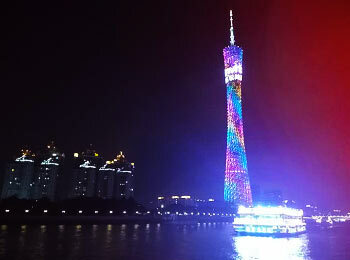 This night cruise trip will offer you wonderful night scenes on the dazzling Pearl River. Along the way, you can catch sight of a lot of riverside high-rise buildings lit by bright shining neon lamps in various colors, such as the magnificent Canton Tower, the grand Southern Mansion, and many exotic buildings on Shamian Island. If you want to see the rural landscape while staying in Guangzhou, you may want to go along this route to Kaiping Diaolou and Villages. 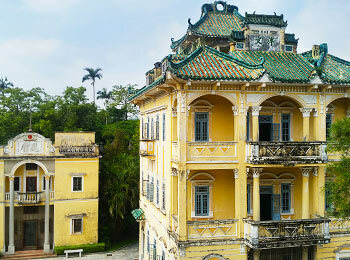 There you can view old watchtowers, villas and fortresses, mostly built during the 19th century, with wide rice fields and streams as the backdrop. 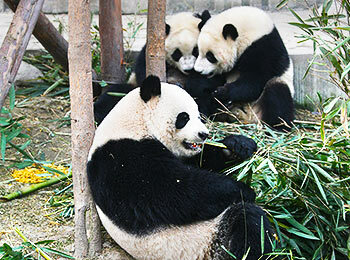 If you are traveling with children, this 1-day family tour to Chimelong Safari Park will be a good choice for you. It is the largest wildlife zoo in Asia with more than 20,000 animals living an enjoyable life, including 14 giant pandas, 50 koala bears and 250 or so white tigers. Follow this itinerary to set out for your side trip to Foshan. During the journey, you can experience folk customs as well as local religious and Kung Fu cultures at the Ancestors' Temple, meander around the exquisite Liang's Garden, and explore the profound pottery-making history of Foshan at the Ancient Nanfeng Kiln. Very satisfied. Wendy answered my question promptly and with good details. I am very satisfied with her service. If you arrive in Qingyuan at Yuantan Railway Station, you can take Bus No. 213 to Songgang Market Station first, and transfer to Bus No. 309 to Gu Long Valley Crossroad, then walk for about 900 meters to the scenic area. If you arrive at Qingyuan Railway Station, you can take Bus No. 105 to Taiyangdao Station where you will transfer to Bus No. 309 to Gu Long Valley Crossroad. Then hail a taxi or walk to Gu Long Valley. Due to the complicated bus route, you are also recommended to hail a taxi at the railway station, and the fare will be around CNY 100. 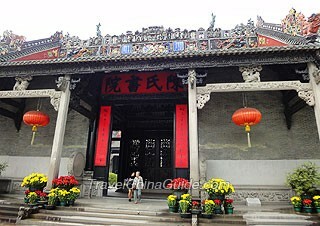 The entrance ticket of Yuntian Boba Glass Bridge is CNY 238. It is suggested that you purchase the discounted tickets on its official website in advance. Hi ,i have a lay over for 8 hours ,is there anything to see and is there enough time ? thank you. As you have only 8 hours in Guangzhou Baiyun International Airport, you are suggested to stroll around Guangzhou downtown by subway. When you arrive at the airport, you can take Subway Line 3 North Extension first to Tiyu West Road Station, then transfer to other lines to the downtown. The ride takes around an hour. You are recommended to visit Yuexiu Park, Canton Tower, Pearl River, Beijing Road etc. Pay attention that you need to go back to the airport 3 hour earlier for your onward fight. where can i find long tau wan village ??? please show me where long tau wan village is. For your reference, Long Tou Wan Village is located in Fuding, Fujian Province. As for the hotels in Chaozhou, I recommend Chaozhou Hotel, Harbour Plaza Hotel & Resorts and Venice Hotel to you. In Qiandong Village, you may consider the Raoping Lvdaoshanzhuang Green Spring Hotel. Besides, Raoping Licheng International Hotel in Raoping is also a good choice.